I discovered while reading James Twyman’s book The Moses Code that the sounds you will be hearing in this CD were the result of some intense research to reproduce the exact sounds associated with the name of God found in the Old Testament, translated from the original Hebrew as I am that I am. It turns out that specific numbers can be assigned to letters. And the tuning-fork sounds you'll be meditating to are the exact sounds ascribed to the letters that comprise the Divine name of God. This has been called the most powerful meditation tool in the history of the world. I encourage you to become open to the idea that these sounds, when accompanied by your own I am mantra, can and will provide you with the ability to live a wishes fulfilled life. ª The “Moses Code Meditation:” This recording is literally the sound of the name of God, following the ancient Kabbalistic form of numerology called Gematria. It is designed for a relaxed meditation. ª “Moses Code Meditation” (with guitar): This meditation is the same fraquency, featuring the original tuning forks. It is designed for a more active meditation. The two words I am are the name of God. 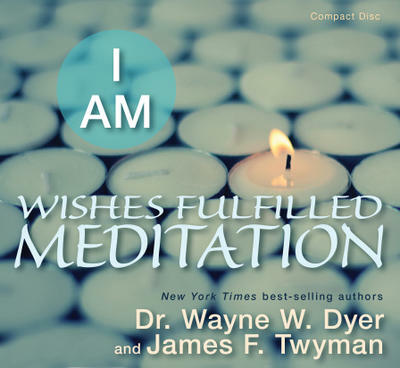 As Dr. Wayne W. Dyer explains, I discovered while reading James Twymans book The Moses Code that the sounds you will be hearing in this CD were the result of some intense research to reproduce the exact sounds associated with the name of God found in the Old Testament, translated from the original Hebrew as I am that I am.